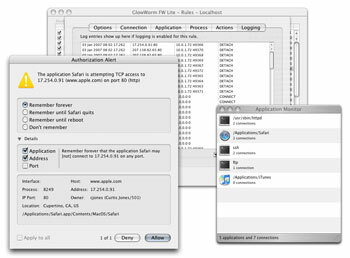 Growl notification support provides non-intrusive alerts. Protect your privacy by taking control of your computer. Prevent applications from "phoning home" and secretly using your network. Control incoming and outgoing connections plus listeners. 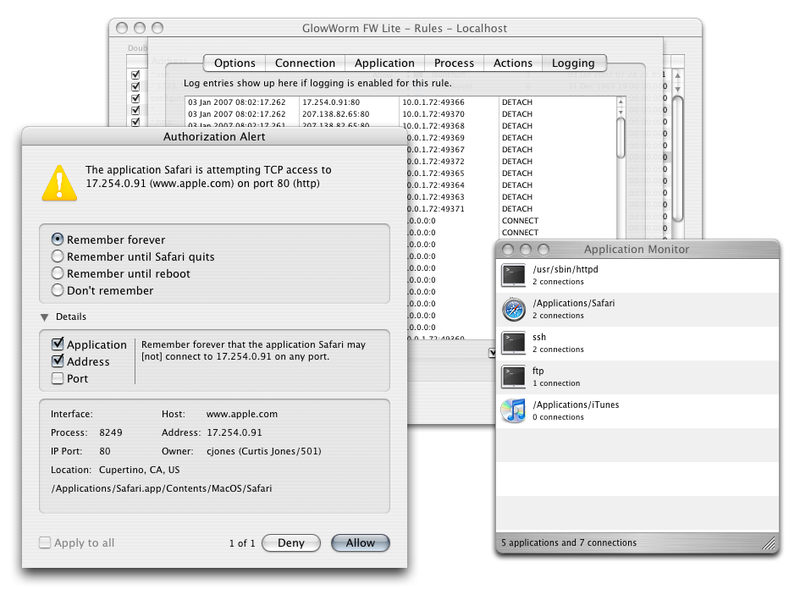 Application Monitor reveals which applications are using network resources. The logging system ensures that nothing gets by unnoticed. The graphical interface of the Rule Editor makes it easy to customize GlowWorm.